Speculation, rumors, and misinformation have been flying for weeks, but adolescent rap sensation Chief Keef has finally formally announced that he's signed a deal—alleged to be in the millions—with Interscope, home to Dr. Dre, 50 Cent, and Carly Rae Jepsen and one of the last powerhouse major labels left standing in the smoldering wasteland of the record business. Not only has he signed a recording contract, but he's also landed a publishing deal with Dr. Dre and, unexpectedly (to say the least), a multipicture movie deal with Interscope's film production arm and his own signature headphone in Dre's Beats line. This is obviously incredible for Keef, who pulled this off with little more than his talent, charisma, and a bunch of homemade YouTube clips. It's also great news for the other promising young rappers on the south side—knowing the way the record biz works, they'll likely be fielding major-label offers in the near future if they aren't already. My only worry is what Interscope's massive financial layout is going to mean for his debut album. When a label spends a shitload of money on an artist, it expects to see a return on its investment, which frequently means suits and A&Rs tampering with the music to maximize demographic appeal and massive delays to accommodate that process. 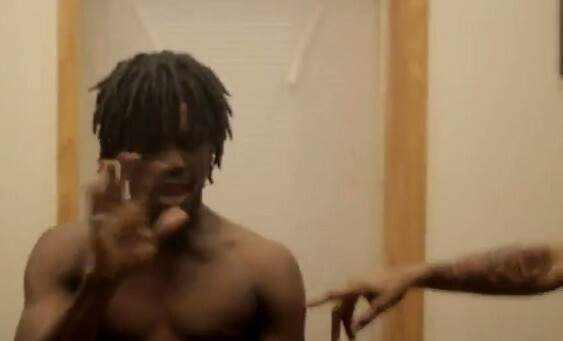 With any luck the people at Interscope will understand that Keef's formula is fine as it is. Last night at the massive EDM festival Spring Awakening, Diplo dropped Keef's game-changing "I Don't Like" and the crowd went just as bananas for it as they did for any of the proven hits in the rest of his set. Just for good measure he returned to the song a minute later, in the form of Pusha T's verse from Kanye's unauthorized superstar fan remix, and people went berserk all over again. Keef's announcement to MTV News is after the jump.